Is Renault’s Twizy the most radical rethink of the car since Karl Benz unleashed his Patent-Motorwagen upon an unsuspecting world in 1886? Quite possibly. 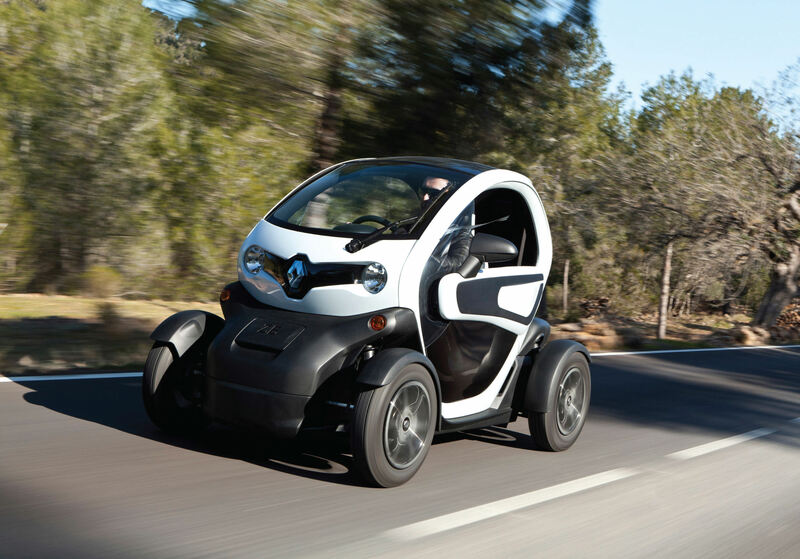 Although Twizy’s detractors will argue that it’s not a car at all, rather a personal transportation appliance. 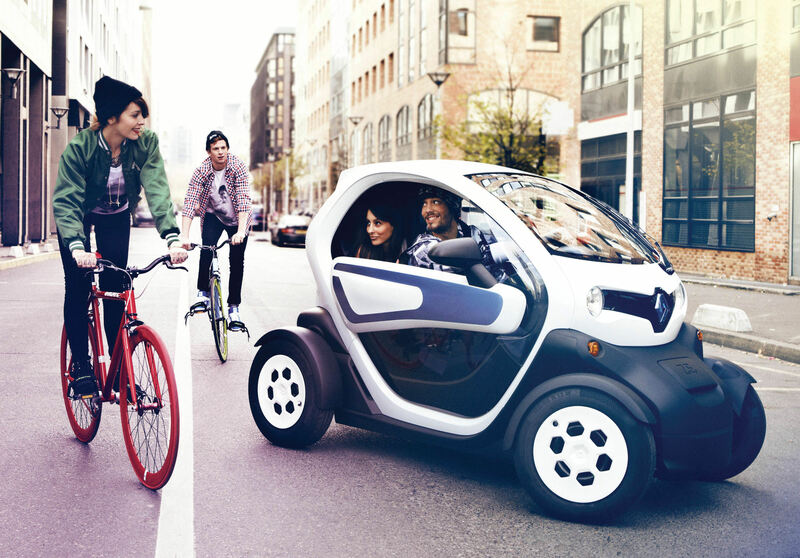 One thing is guaranteed: compared to anything else you’ve driven on the road, Twizy is a radical departure, much more so even than when the smart city-coupe was revealed back in 1998. Firstly, it looks like nothing else you can buy. Wheels are mounted outboard of the chassis, forming part of the side impact structure as well as ensuring it remains a stable proposition on the roads despite its Twiggyesque width. Walk around the plastic bodywork and observe the short ‘bonnet’ at the front which flaps open to reveal the charging lead point for its electrical gubbins, replenishing the battery pack that lives under the front seat. Yes, front seat singular, for although the urbanite Twizy can seat two, passenger B sits behind the driver, tandem-style. It’s a snug experience back there but one which would be bearable for city crossings rather than enduring from your countryside home to the metropolis office. Incidentally a full charge takes around three and a half hours and gives the Twizy a theoretical range of 60 miles. 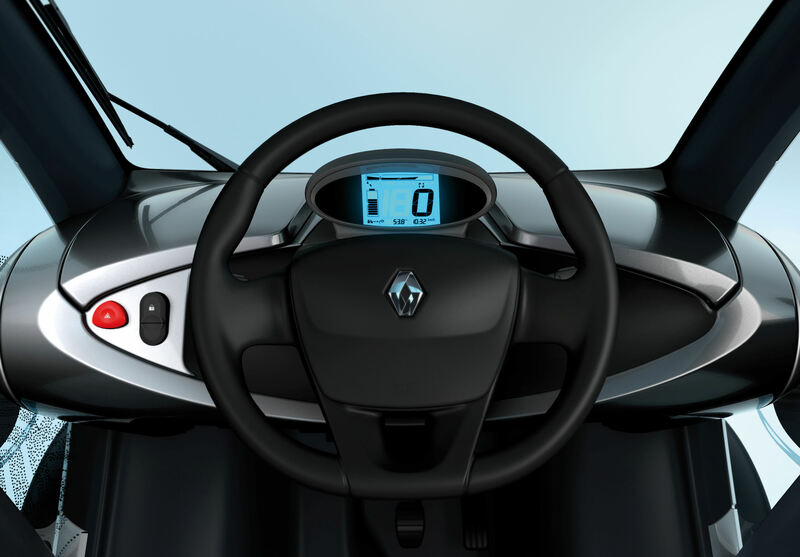 Twizy’s dashboard is relatively conventional. Lack of standard doors and your passenger sat behind you are not. Getting into the Twizy is easier than in any other car due to the fact that doors are optional. If you’re not prepared to shell out the additional £545 price for the optional scissor doors, then you’ll simply step in and out of your pod, belt up as normal (well, almost, there’s an additional shoulder strap for the driver) and whirr off into the near distance. Even if you do stump up the extra for the trick doors you’ll discover that the top half is unglazed. This might make for an effective air conditioning replacement in warmer climes but in wet old Britain, it could make your work clothes unwearable before you’ve parked yourself at your desk. Despite the central driving position and lack of internal combustion engine, setting off in the Twizy is relatively normal. Ish. Twist the key and the LCD dash flashes to indicate the car’s ready to go. Depress the ‘D’ button on the dashboard (the single geared ‘box has no conventional lever), release the handbrake and off you go. For those of us old enough to recall electric milk floats, you’ll find the Twizy’s tune eerily similar, rising in pitch as the speed slowly approaches its capped top speed of 50mph. Ride quality isn’t the most compliant but with such a small wheelbase and narrow track, it was never going to be. But that fidgety bounce, heavy steering and brakes which require a good stamping to get the best out of them, combine perfectly with the open air feeling to lend the Twizy an honest rawness that falls between the two stools of zippy scooter and urban-centric car. Spend time behind the Twizy’s wheel and you’ll experience hilarity and a genuine joy at piloting something so unique and fun. The downside is you run the risk of looking a prize twonk, even more so with that inane grin on your face. Twenty minutes at the controls is more than enough time to confirm that the smallest Renault embodies the virtues of a car that make driving such a joyous experience. But it’s a special kind of car and unfair to compare it against anything else available – it’s in a class of one. Think very carefully before buying a Twizy because it certainly won’t suit everyone’s lifestyle or living arrangements. But if it does and you want to brighten up your urban commute, then you’re a ballsier Twizyer than I. Great review and I agree, the Twizy is more fun than it should be! Cheers Rob. And thanks for joining the WordPress crew.